Jenna Samuels and her guardian angel brother battle heavenly head-honchos and earthbound bullies in this Texas-set hilarious follow up to The Sweet Dead Life. It's been almost a year since Jenna Samuel’s stoner brother, Casey, bit the dust and returned as her guardian angel. A year since Casey and his “angel boss,” Amber Velasco, saved Jenna’s life and helped her foil the bad guys—more or less. A year in which Jenna has solved the true mystery of the universe: how to get one Ryan Sloboda to ask her out. Jenna’s feeling mighty cheery about life and love. But Casey, whose doomed relationship with Lanie Phelps (who has no idea her boyfriend is, well, dead) isn’t doing much to distract him, has his own big question: Why is he still hanging around? Bo Shivers, a heavenly head honcho Jenna and Casey didn't even know existed, might have the answer. Bo knows something big is coming. Something that might just change everything for Jenna Samuels, who once again finds herself up to her non-winged shoulders in heavenly secrets of global proportions—just as she’s finally found the perfect Homecoming Dance dress. Who Would You Cast as Casey? Casey Samuels is Jenna’s brother. He is the stoner guy turned guardian angel/unlikely hero with a heart of gold and some stubborn (or maybe not so stubborn) bad habits. My choice to play Casey is actor Logan Lerman, who played Charlie in Perks of Being a Wallflower and also starred in the Percy Jackson film, among many other roles. He physically looks like the Casey in my head—medium height, medium build, handsome but not overly so, really more cute than anything— and I think he has the emotional range to play someone who is very much the reluctant hero. In THE SWEET DEAD LIFE, Casey had been plodding through life since his dad disappeared five years ago and his mom has progressively become almost comatose. He took care of Jenna, worked two jobs, and had a little recreational drug habit that got him through the long nights. Hardly angelic, Casey Samuels. But then there was the car accident that changed everything. Casey had to step it up. He looks hot now. He has angel mojo. And more than one mystery to solve. And now in THE A-WORD, Casey is trying to figure out what his larger purpose is. Why has Angel Management kept him hanging around. And how does he feel about his old girlfriend Lanie going out with football player Donnie Sneed? 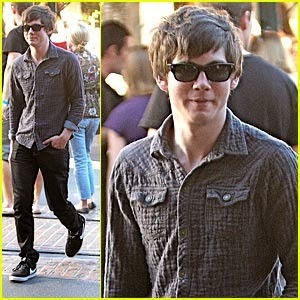 I think Logan Lerman could totally play all that. *Image links were provided by the author. 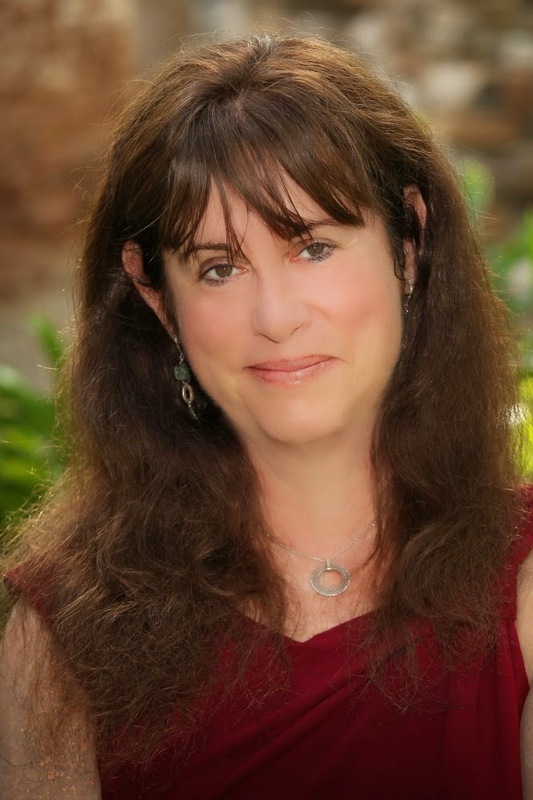 Joy Preble is the author of the popular and highly acclaimed Dreaming Anastasia series as well as The Sweet Dead Life, the prequel to The A-Word. A former English teacher, Joy grew up in Chicago and is a graduate of Northwestern University. She is now a full-time writer and lives with her family in Texas, where she has learned to say "y'all" without any hint of irony.